Does anyone else out there drive around listening to the Godspell soundtrack? No? Just me? Well, the cheese stands alone. But I just find it very comforting and inspiring and it helps me to remember to connect with the Universe or - as some of you may flinch to hear me say - God. 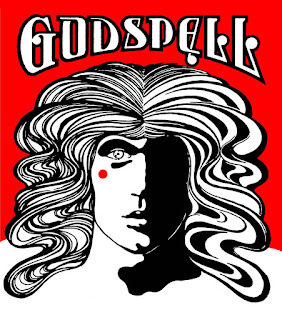 Godspell was the very first musical theater I ever saw (I guess you can't really count The Nutcracker) back in the early 70s, and it was only done by a troupe in my local hometown, but I was mesmerized. I made my mom take me back to see it a couple more times. I couldn't get enough. 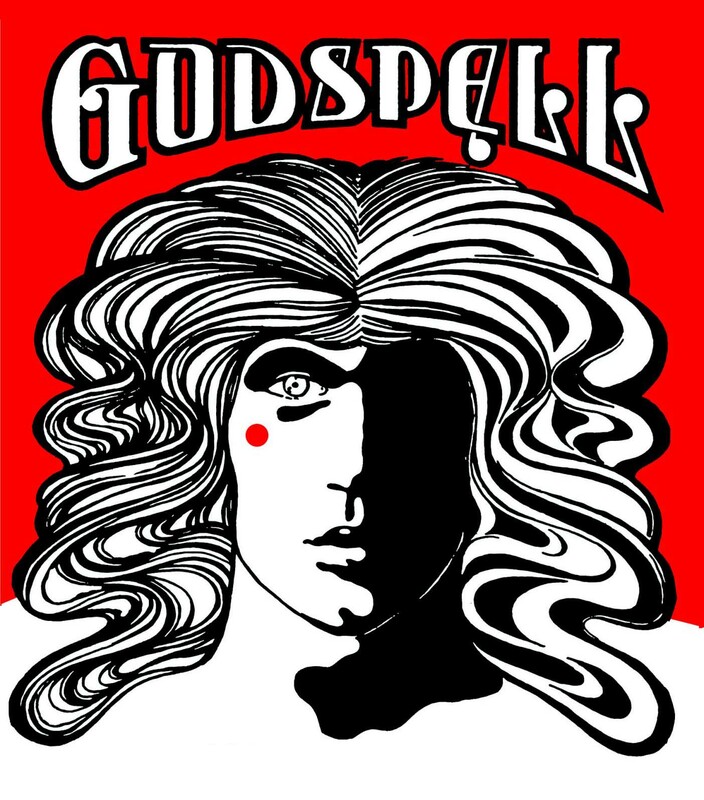 Godspell was super popular back then and was around at the same time as the famous Andrew Llyod Weber hit Jesus Christ Superstar, but was more like its quieter, less flashy younger sibling. Interestingly there have been a few revivals of it including a Broadway one in 2011-2012. If you are unfamiliar, Godspell is a series of vignettes/parables of Jesus and his followers, but as a child, none of the Jesus stuff really sunk in. I just loved the positive vibe of the whole thing and of course the music. Its music is uplifting in the way that gospel music is supposed to be, only it is done with cool musical show tunes. The style of songs is a mixed bag: from vaudeville to rock, burlesque, pop, and even kinda hymnal. The soundtrack was also the first album I ever got. I used to play it over and over and over again on my portable turntable. I probably drove my family batty, but these days when I have it on repeat in my car I am bothering no one. I even sing along to it though I am no better of a singer now than when I was a kid unsuccessfully trying out for musical productions at the children's theater. I have the soundtrack of the original Broadway production but you can go ahead and look up the movie version of Godspell here on YouTube and you will see a bunch of flower children dancing around and smiling as they sing. Jesus is the one in the Superman T-shirt. All my life I have loved musical theater including the Technicolor movies of the 40s and 50s (The Wizard of Oz! Guys and Dolls! Oklahoma!) as well as current Broadway shows (could someone please get me tickets to Hamilton?). But also I do love God. Or talking and hearing about God. So God and showtunes both make my soul soar. If I am slinging the g-word around a little too much for your liking let me say here that I consider myself spiritual not religious. I was raised Unitarian but our family stopped going to church when I was 12 because we moved from Massachusetts to California and our new church was too ugly and modern for my parents' taste. If push comes to shove I guess you could describe me as new-agey. Or maybe meta-physical is better. I am into the whole mysticism angle of God - or the Universe as I also call it. You just can't convince me (as my last boyfriend tried to do) that there is not a greater power at work. Maybe that power is simply "energy". But what about Mother Nature? And miracles, and even "coincidences"? I'm not here to convert you I'm just saying a lot of people, over a whole lot of time, have been pondering and believing that there is something bigger going on so where would all that have come from? To me, a power greater than myself is nature, art, and beauty. It is the act of expressing ourselves, making connections and forming relationships. And definitely, definitely love. Any and all types of love. That is my g word. What is your g word?